No matter how good you are at managing money, you’ve probably let a bill due date fall through the cracks, at least once. Whether a late payment occurs because you forgot to send it on time or didn’t have the funds, being unreliable can negatively affect your financial life for many years. The full extent of the damage depends on the type of account you have and how late you are. 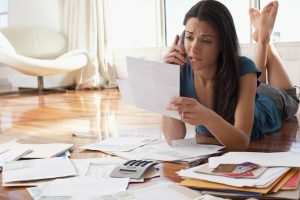 Here are five ways Laura gives to minimize damage to your credit and financial life after slipping up and making a late payment for U.S. News. Click here to read more.